More roads and hard standings in our touring caravan site. New shower and toilet block will be ready for summer. Some weeks still available for our holiday homes but booking up fast! Keld Knowle Farm is a working family dairy farm located in the Vale of Pickering, on the edge of the North York Moors National Park. The market town of Pickering, the home of the North York Moors Railway, is less than 3 miles away. Kirkbymoorside is only a few miles away & Whitby (23 miles) and Scarborough (18 miles) are less than an hour. 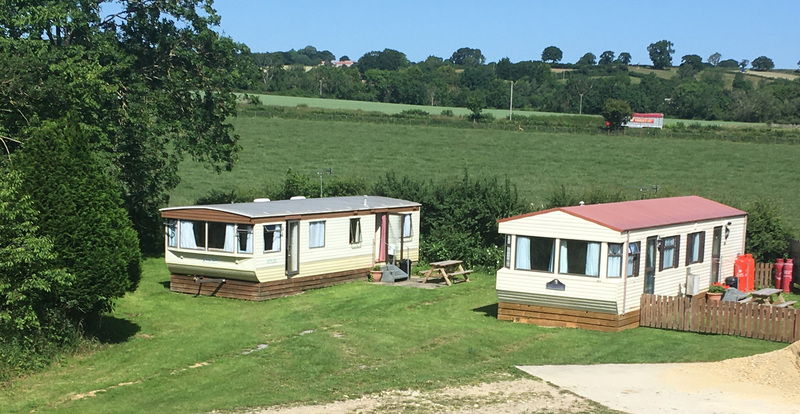 The 200 acre farm is run by the Scaling family and offers a CL touring caravan site together with 2 holiday homes to let. The farm is set back from the main road and children are very welcome. Being on the edge of North York Moors National Park means there are plenty of walks right on our doorstep. You can walk to the villages of Sinnington, Cropton, Apple-le -Moors and as far as Rosedale. The local village of Wrelton has a pub The Buck Inn (5 minutes walk) serving food and has a local regular bus, The Middleton Arms is also close by (1 mile). Click here to see Karen's Top 10 things to do. Keld Knowle offers self catering accommodation in two static caravans together with bed and breakfast available in the farmhouse. It is also a certified location for the Caravan Club. Enjoy the peace and quiet of the countryside! We were delighted with your site; the electricity points, water, disposal facilities for rubbish and chemical toilet were all easily accessible and the open views across the farmland was beautiful.